Help a blogger! This picture came from St. Michael's Wife. You have an adorable blog and I'm hoping you see this note. Just wanted to make sure you know that we can not post comments on your blog. It says Post but we can't make it work. I've tried to find another way to contact you and can't do that either. I don't have Microsoft Outlook to open your email address. I hope you see this. I don't want you to feel left out!! If anybody else can figure out how to contact her, please let her know that her Post Comment isn't working. 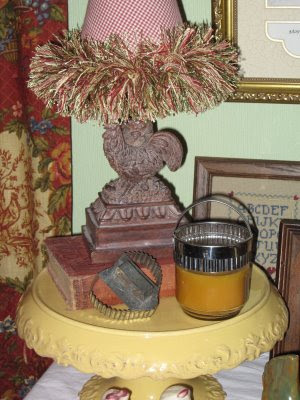 Her blog is fun and she's a great decorator. Go visit St. Michael's wife. Hmm, Stacey...sure wish I knew a way to help you out! I will check out her blog! By the looks of the picture, it looks like a good one! I love that lamp. My daughters would laugh at me if I got one like that. I am going out tomorrow and get one as close to it as I can.I'll show them whose house this is. Stacey, will try to see if it works for me. Stacey, I was able to email her, and hopefully you will hear back from her. She does have a cute blog!!! Thanks for the heads up! I went over there; couldn't figure it out either. I come across this sometimes. Tis frustrating! I am so glad that uou posted this. I had stopped by a lttle earlier and had the same trouble. I hope she gets the message. Thanks for stopping by earlier. I hope your Sunday was full of rest and happiness!!! I bet she has her comments turned off in her comment settings on her dashboard. Love your header...how beautiful! I haven't been out and about much in blogland, we are trying to finish up odds and ends outside. That pasta salad recipe looks delish, I am definitely going to try it...I love pasta salad! What a cute blog! Hopefully she'll see your post! Hope you're having a great Sunday! How nice of you to post about St. Michael's Wife blog - that happened to me when I first started blogging and it turned out my comments button was turned off. Thank you for the yunmmy pasta salad recipe - perfect for summer days. Oh, Stacey, I hope she reads this too! I'm sure she doesn't know the comment thingy doesn't work. You're a good one for trying to help! What a wonderful solution! Hopefully, she sees this and can figure out what is going on with her comment section! Hope she gets it fixed soon! Heard from Kale tonight! First time in 5 wks. and 2 days! As you well know...I am techno challenged. I hope it all works out! Just saw your post on your friends kitchen...love it! I have many of those colors in my kitchen and chickens too. Tell her thank you for sharing her wonderful kitchen with Blogville. Thank you for the sweet, kind words on my blog! 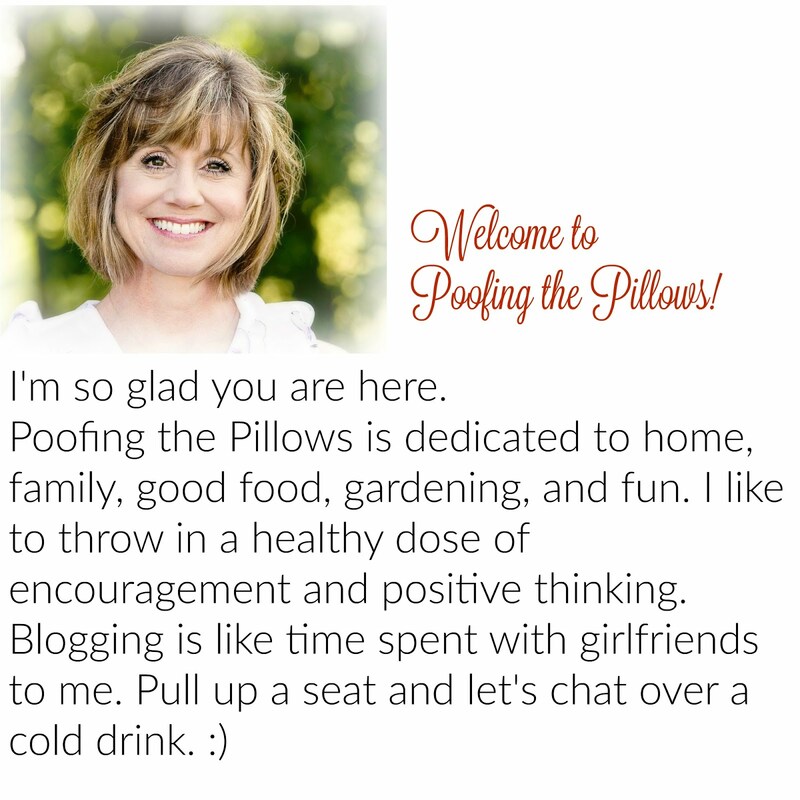 I LOVE your blog...and the name is adorable. I went to St. Micahel's Wife's blog too....and I puzzled?? I have no idea but hope you get it figured out! Hope your day is a good one.